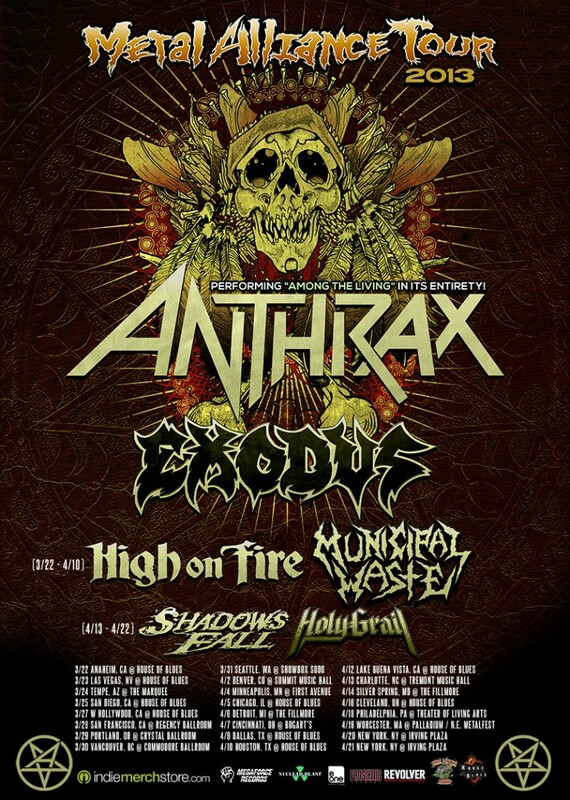 The Metal Alliance Tour is back again and with Anthrax headlining this year it’s bigger than ever! 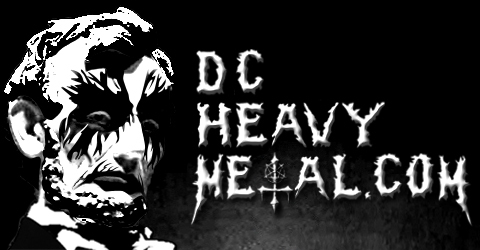 The tour’s only area stop will be at the Fillmore Silver Spring on Sunday, April 14th, 2013 and we here at DCHeavyMetal.com want to make sure as many of the area’s metal heads can make it out as possible so we’re giving away a pair of tickets to the show to one of you lucky readers of the site. To enter just tell me which bands you’re most excited to see on this year’s Metal Alliance tour by leaving a comment on this post. Read the next paragraph for info on all the bands playing. On Friday, March 29th, 2013 at 5pm EST I’ll pick one lucky winner from all the valid entries at random (using Random.org) to win the pair of tickets. If I haven’t heard back from the winner in 24 hours another winner will be chosen. Be sure to enter with a valid email address you check regularly so I can contact you when you win. Don’t worry, I won’t add you to any email lists or anything like that, I hate spam too. If you enter more than once then all of your entries will be disqualified. If the contest is over when you read this or you simply can’t wait to find out if you win the contest you can buy tickets from Live Nation for $30 here. Anthrax is headlining this year’s Metal Alliance Tour and to make it even better, they’ll be playing their classic album, Among The Living, in its entirety at every show on the tour. But don’t think the New York thrashers are the only band worth seeing at this show. Direct support will be provided by the legendary Exodus, one of the original bands from the ’80s thrash metal scene in the San Francisco Bay Area. Richmond party thrashers Municipal Waste will also be on this tour so be sure to have a beer in hand when they’re playing. The Massachusetts based melodic death metal band Shadows Fall will be playing only a few dates on this tour, including this one. 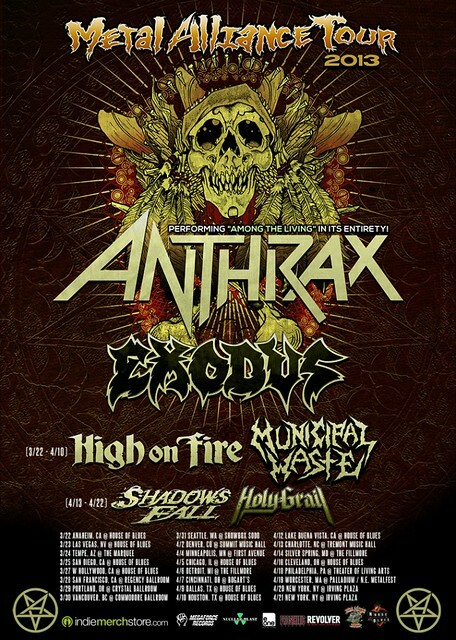 Their lead guitarist, Jonathan Donais, has recently been added to Anthrax’s live line up so he’ll be playing twice each night. The opening band is Holy Grail from Pasadena, California. They play a blend of thrash and power metal that is almost as high energy as their live show. If you’re not familiar with Holy Grail then check out their newest album, Ride The Void, which is their best release yet, and be sure to get to the show in time to see them. Now watch the awesome videos below by each band playing the show and leave a comment telling me which of the bands you want to see most at this thrashing show!